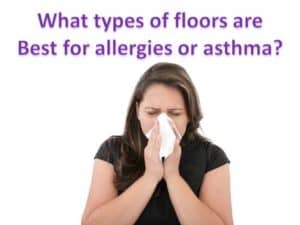 What types of flooring are best if you have allergies or asthma? As a general rule, carpeting is the worst choice for allergies while wood or cork flooring are the best selections. And, generally hard surfaces will be better options than carpet. 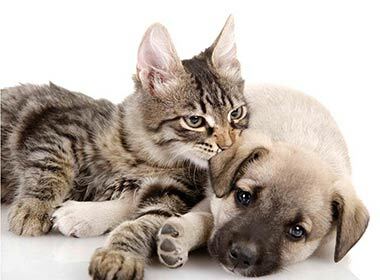 Allergy sufferers should avoid the deep pile of most carpets as these tend to hold allergens from dust mites, mold, pollen, pet dander, as well as dirt. Carpeting can also retain moisture, which encourages the growth of mold and mildew. Some dispute the negative relationship of carpeting to allergies, but there is no doubt that it holds more dust, dirt and moisture than any other kind of flooring, making it an ideal environment for dust mites. If you have carpet, or area rugs (or are required to have carpet), low pile (including looped carpets) are better options and so are natural fiber carpets such as wool or sisal. And, if you do have carpet, vacuum frequently. There are also hypoallergenic and low VOC carpet padding (such as felt or Shaw’s Triple Touch Carpet padding) which tend to be better for allergies or asthma. 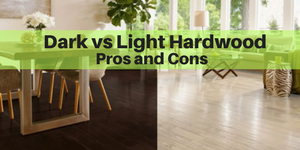 But, hardwood or cork (or other hard surfaces) are generally much better options. Hardwood flooring is an excellent choice for those with asthma or allergies since it’s easy to clean and maintain. 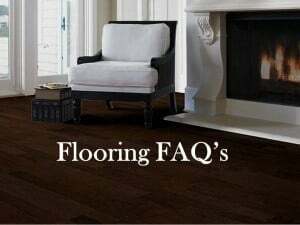 It’s the preferred flooring surface for homes in Westchester County and the East Coast. Unlike carpet, hardwood doesn’t trap allergens nor does it provide an environment for them to grow. By the way, you may also find this article helpful: The Top 5 hardwood cleaning products…and the one I recommend to my customers. Cork floors are a wonderful alternative to hardwood. They are inherently mold and mildew resistant due to the antimicrobial presence of suberin. This naturally occurring substance inhibits the growth of mold, mildew, bacteria and other allergens. Cork also helps insulate heat, so they are warm on your feet and they are cozy on your feet. The hard surface mak es it easy to clean with a dust mop (ideally a swiffer). Even though cork is porous, the finish prevents allergens from collecting and growing. And, cork flooring does not require a plywood subfloor, so they provide a great alternative if you have a concrete subfloor in an apartment or lower level of you house. 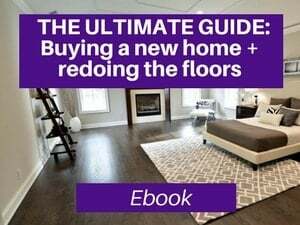 Most cork floors, though, are floating, so it’s important that your subfloor is level/even, otherwise you may need to smooth and/or level out the floors prior to installing cork. Cork is also an eco-friendly product. 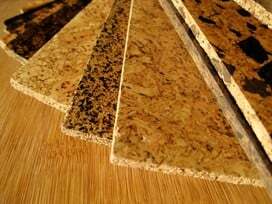 You can read more about cork here – Cork flooring – how is it made and why is it considered green? If you’re interested in buying some cork flooring online, check out US Floors Natural Cork line. While hardwood and cork are generally the best options for those with asthma and allergies, stone or tile flooring, as well as linoleum are also great options. The tile and linoleum are better options for wet and moist areas such as bathrooms and mudrooms. 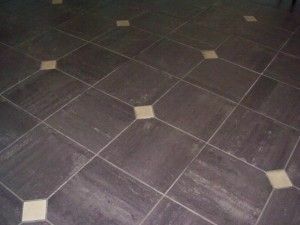 Stone, porcelain and ceramic tiles are also great choices for allergy-free flooring, but the more rough the stone surface, the more dirt they will hold. Not all tile flooring is allergy friendly. As a general rule, smooth stone will be much less likely to harbor allergens than a tile that is porous or has rough edges or is highly textured.. Polished marble and granite are excellent choices (for those with allergies), but natural-looking stone with a textured finishes and uneven surfaces can provide pockets for mold and other allergens to collect and develop. With natural stone, it’s important to seal it to prevent mold and bacteria from growing) and for all types of tile (natural stone, porcelain and ceramic), it’s important to seal the grout, and reseal it, ideally every 1-2 years. Linoleum is also a natural product that also is a good option for those with allergies or asthma. It’s easy to clean and holds up well to water. Unlike vinyl, which is petroleum based, linoleum is made with linseed oil and it’s eco-friendly. You can read more about it here – What’s the difference between linoleum and vinyl? Laminate and vinyl are alternative synthetic options. As they are synthetic products (vs. hardwood or cork which are natural), they may tend to cause other issues, especially with cheaper options. 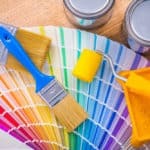 If you opt for a laminate or vinyl product, try to select an option that has low VOC’s (Volatile Organic Compounds) and be cognizant of the adhesive used. Laminate flooring may or may not be a good choice for those with allergies – it can depend on the manufacturer and the grade of product. Laminate uses recycled hardwood and the product is manufactured by gluing together layers of wood composite. 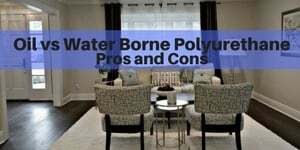 The adhesives used in the process may contain formaldehyde as well as other dangerous VOCs, and these can trigger other allergies – sometimes immediately, and other times over time. Always check the product to see the formaldehyde rating (E1 or E0 are the best choices). 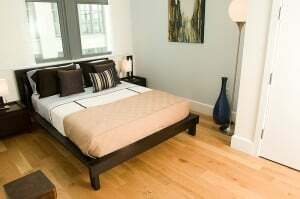 Nonetheless, laminate provides a hard surface that is easy to clean and like hardwood, it doesn’t harbor dust or dander. 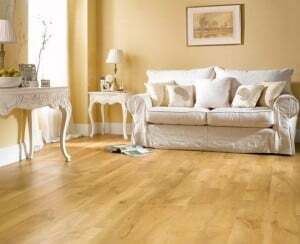 Similar to cork flooring, some high-end vinyl floors (often called luxury vinyl) can offer the advantages of a hard surface – easy to clean, no pockets for moisture – and many have an antibacterial agent built into them. 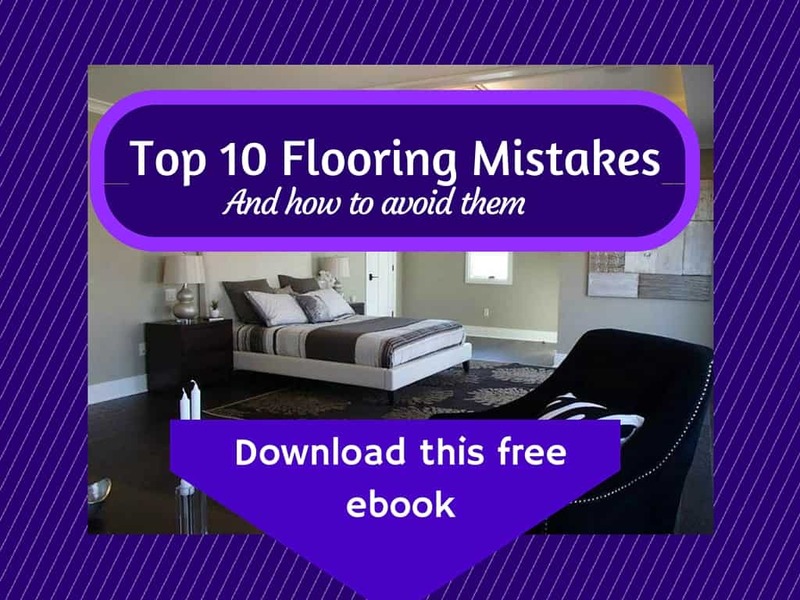 However, especially when it comes to vinyl, you “get what you pay for,” and lower end vinyl flooring is often manufactured with VOC’s which create emissions and hence an allergen risk or other breathing challenges. This doesn’t mean that vinyl, (or laminates) should be avoided at all costs. 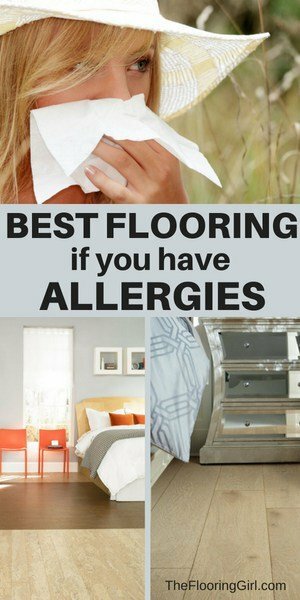 On the contrary, these are durable, cost-effective products that tend to be far better for allergies than carpet; it’s just important that you research the products and select higher end options rather than cheaper alternatives. For more advice on remodeling for those with allergies or asthma, check out this site: asthma and allergy foundation of America. Regardless of which flooring surface you use, it’s important to keep the floors clean. 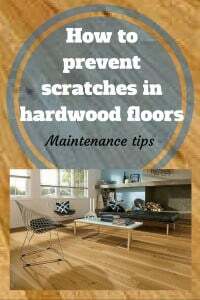 Even solid hardwood (which is often the best choice), can result in sneezes (as well as scratches) if you don’t keep it clean. 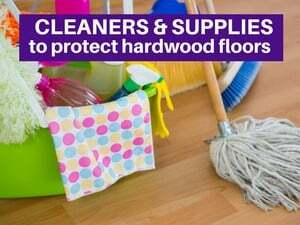 Thankfully, dust that has settled on hardwood is far easier to wipe away (or swiffer away) than dirt that has settled into the carpet (here are some cleaning products we recommend). It’s also wise to stay away from lower end products as those tend to have more chemicals and fumes. There are so many flooring options available, so don’t feel limited just because you have allergies or asthma. What is the best air purifier if you have allergies or asthma? 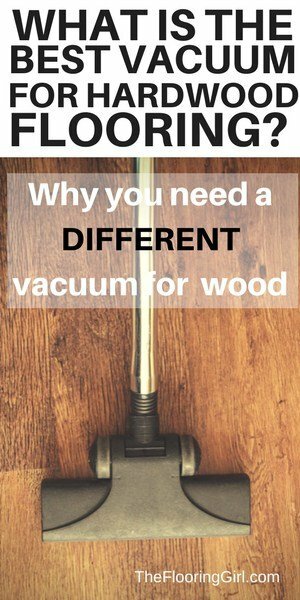 What’s the best vacuum for hardwood floors? 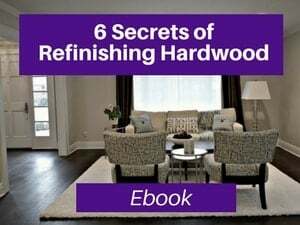 Check out my ebook – Discover the 6 Secrets of Refinishing Hardwood floors. Consider buying an anti-allergenic vacuum cleaner, with a specialized filtration system. HEPA (High Efficiency Particle Air) filters retain allergy-causing particles, and are great for those suffering from allergies. Andrea – Thank you. That is a great recommendation. Super build. I had gone through your article and many others as i just got my house constructed. Now i am planning for vinyl flooring. Though we are not allergic, but their are few other benefits of vinyl flooring too. Andrew – Thank you so much. I really appreciate that. I hope everything works out well for you in your home. Thx for making my day. I’ve been in the flooring business 46 years. 25 as a carpet/ hard surface installer. Carpet will also be warmer and acoustically more sound deadening. The cost is usually thirty to fifty percent less. My company has been in business 36 years. We sell it all. MY PROFESSIONAL OPINION IS CARPET IF ITS THE CORRECT STYLE, IS THE BEST CHIOCE, when it comes to most areas of your home. Todd – Thanks for your input. Yes, some carpets can work well, and there certainly are advantages to carpet. Carpet works well in some areas of the home. Hardwood is much better in other areas. 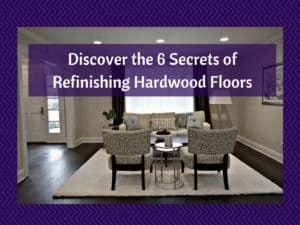 Over the years, I’ve been seeing a much stronger preference for hardwood over the years. Do you think that putting vinyl or laminate over existing (relatively thin) carpet would work? NO!!!!!!! That would be a disaster. It can trap bacteria and allergens and it’s a terrible surface for laminate or vinyl to go on top of. I would expect those surfaces to bounce and break. Was planning on installing laminate flooring. Just found out my daughter is allergic to trees. The whole purpose of this is due to to her asthma and allergies. Help!! I’m driving my husband crazy. My heart was set on laminate, now what do I do? I’ve never heard of someone being allergic to trees. I’ve heard of tree pollen and mold, but not trees. Are you sure? I would think, but I could be wrong, that would products would be okay as they don’t have pollen, etc. How is your daughter surviving if she is allergic to trees. Does that mean she can’t go outside? Do you have any sort of wood in your house or furniture? 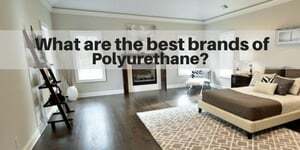 Do you have plywood subfloor or wood in the house? Wouldn’t there be wood at school (e.g. at the desks, chairs, etc). I would check/get clarification with your doctor and then ask your doctor what he or she would recommend. 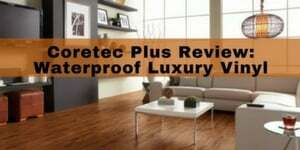 BTW, an alternative to laminate, which is much better and waterproof is Coretec Plus. 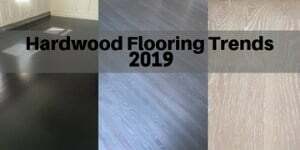 https://theflooringgirl.com/blog/review-coretec-plus-luxury-vinyl-waterproof-hardwood-planks.html. But, it may have a tad of wood shavings in the core. Nonetheless, the top part that would be exposed is vinyl and should be okay. I’m not sure if that product existed at the time I wrote the allergy issue. TW – Yes, I’m sure that can have a big impact. Most people though seem to be (or a least report) that they have allegies to dust, mites, pollen, etc rather than to actual wood species. 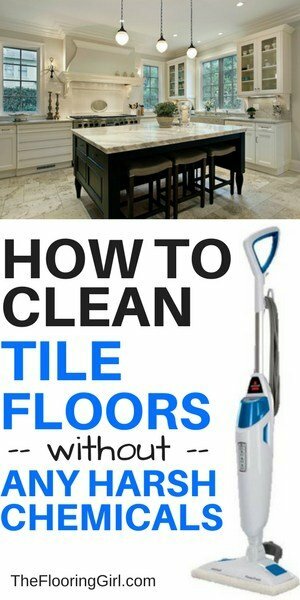 But, yes how you treat the floor (e.g. type of poly and type of cleaner) can have an impact, too. Anupa – You may want to look into a pre-finished wood. That’s probably the best regarding VOCs. Use solid wood. The brand really shouldn’t matter for allergies. Regarding an installer, you’ll need to find a local one. You may want to ask in some of the local mom’s facebook groups or Angie’s List and read their reviews. Or, perhaps ask your friends or your real estate agent. I hope that helps.